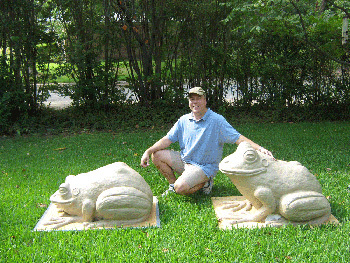 Douglas B. Clark is a Texas sculptor and painter who specializes in wildlife art. Clark prefers to work from life and his own photographs and field sketches. He can often be found sketching, painting, or sculpting at the Fort Worth Zoo and at the Fort Worth Stockyards National Historic District as well as at annual events like the Southwestern Exposition and Livestock Show and The Texas Cutting Horse Futurity.